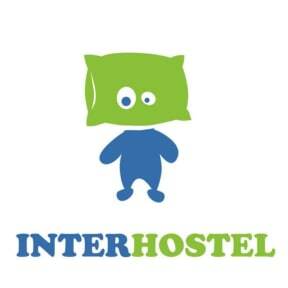 Interhostel, Sztokholm, Szwecja : Rezerwuj teraz! Centrally located in the historical centre, we’re situated within close proximity to many of Stockholm’s main event venues, tourist attractions, clubs and pubs. Our perfect location makes this the ideal accommodation choice for every sort of budget traveller! Our location puts you right at the doorstep of the royal palace, the Stockholm opera, Old City and the hustle and bustle of Drottninggatan, the busy shopping street. We’re close to the main shopping malls of NK, P.U.B. and Casino Cosmopol. We offer quality refurbished rooms with modern beds and lockers. These comfortable IKEA beds have spring mattresses, ensuring you get good night’s sleep and rest. All beds have reading lights. 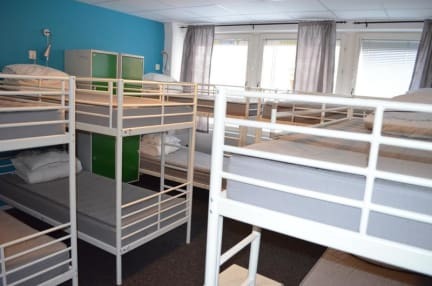 You can choose to stay in a larger dorm with 14 beds for a cheap price or you can choose to stay in a smaller, more private room. All private rooms and four-bed mixed dorms have a TV with more than 500 channels and a DVD player. We have clean separate showers with WC for men and women. There are lots of WCs in the corridor area and a handicapped WC with shower. There’s free Wi-Fi everywhere in the hostel as well as free computers with internet and tourist information about Stockholm in the lobby. Our guests have access to our homely kitchen equipped with stoves, fridges and microwaves. Free tea and coffee 2 from 7.00 in the morning to 12.00 in the afternoon. The kitchen is opened from 8 am until 11 pm. A big plasma TV and some games are also available in the kitchen. Check-in: 14:00-02:00. If you arrive earlier than 14:00, you can leave your bags in our luggage room. There’s a free luggage room for our early-arriving and late-leaving guests. We also have laundry facilities, including dryers. Our staff speak six languages: English, Swedish and Russian. There is also security guards on-hand during night time. We are located only 10-15 minutes' walk from the central station. All the main historical attractions, including the Old Town, the royal palace, the Vasa Museum and many others, are close at hand. All of Stockholm is cafés, pubs (including the famous Ice Bar), restaurants and the famous nightlife area of Stureplan are nearby. The cheapest supermarket, Lidl, is within a five-minute walk from the hostel. All of this means that you don't need to use public transport, which is very expensive in Stockholm. You will save hundreds of kronas! I have sleeping bag but I must paid extra 50 for bed sheets. Nie powinno się meldować obcokrajowców do pokoju gdzie wiadomo, że mogą być kłopotliwi współlokatorzy ( którzy mieszkają tam prawdopodobnie przez dłuższy czas). Na szczęście po interwencji zmieniono nam pokój bez problemu, ale pewien niesmak pozostał. Poza pierwszą nocą dalszy pobyt bez problemów.